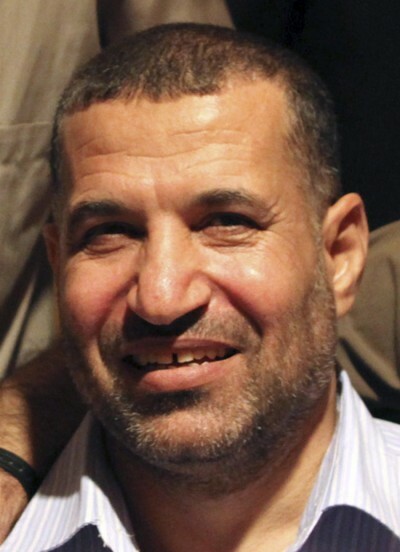 Gaza: Who Was Commander Ahmed Jabari (1960 – 2012)? On November 15, thousands in Gaza City residents mourned Jabari’s assassination. Israel murdered him the previous day in cold blood. Score another victory for occupation harshness. Add one to the column of Israeli crimes against humanity. Volumes are needed to list them. Israel lives by the sword of injustice. One day perhaps it will perish for its villainy. They promised Israel would pay a heavy price. Its crime won’t go unpunished. Jabari was born in 1960 in Gaza City’s Shujaiyya neighborhood. His family was activist. He earned a BA degree in history at Gaza’s Islamic University. Earlier he allied with Fatah. In 1982, he was imprisoned for 13 years. He joined the Muslim Brotherhood before Hamas was established. He met future Qassam Brigades leader Salah Shehadeh and other Hamas figures. He became politically and militarily active. After release from prison in 1995, he ran a Hamas-affilated organization. It worked for current and former prisoners. In 1997, he worked with the Hamas-connected Islamic Redemption party. In 2002, an Israeli air strike killed Shehadeh and seriously injured his successor, Mohamed Deif. In August 2004, Jabari gained Qassam Brigades operational control. He built it into a 10,000-strong force. He helped Hamas maintain control of Gaza after Abbas established an illegitimate West Bank coup d’etat government. He’s known as Qassam Brigades commander. He was actually second in command to the figure who hasn’t been seen since the early 1990s. Called “the general,” he survived several earlier assassination attempts. In 2004, Israeli helicopters targeted his Shujaiyya home. He was slightly wounded. His oldest son, Muhammad, his brother, and three other relatives were killed at the time. He gained prominence for his role in capturing Gilat Shalit and negotiating his release in exchange for 1,027 Palestinian prisoners. After Cast Lead, he gained greater political influence. Haaretz writer Jack Khoury asked “Who was Ahmed Jabari? He was well known and respected in Gaza. He didn’t gain prominence until negotiations for Shalit’s release. Many considered him the most important military and political Hamas leader. In Gaza, he was active in Hamas’ charitable work. He was in charge of coordinating fundraising and military activities. He became influential in establishing ties with senior Hamas figures abroad. In 1998, the PA arrested him. He was released when the second Intifada erupted in September 2000. Israeli peace activist Gershon Baskin said Israel erred in killing him. Lives on both sides will be lost. Hours before he was assassinated, he got a truce agreement draft. It included ways for establishing ceasefire in case of future flare-ups. Israel knew he was working with Egypt to establish permanent truce. Nonetheless, the killed him. Israel abhors peace and stability. Its agenda depends on conflict and violence. It blames victims for its own crimes. It gets away with murder with impunity. Blood could have been spared, said Baskin. Instead, Israel chose to keep living by the sword. Netanyahu will probably benefit in January elections. Israelis aren’t smart enough to spurn him. Baskin said Jabari believed Israeli/Palestinian hostility benefitted neither side. Several times he prevented Hamas attacks on Israel. When rockets were launched, open spaces were targeted to avoid Israeli casualties. In other words, peace was possible. Israel willfully sabotaged it. They did it other times to perpetuate conflict. Palestinians are blamed for Israeli belligerence and violence. Israel pulls the same stunts as Washington. Enemies are invented to stoke fear. Amounts given were woefully inadequate. It’s surprising anything was provided under conditions of siege. Jabari was also key in securing Shalit’s release. In captivity, he ensured his welfare and safety. According to Barak, “In the Middle East, there is no second chance for the weak.” Killing Jabari will be remembered as another pre-election gambit to win votes. Professor Yagil Levy calls it “fanning the conflict as an intra-state control strategy.” External conflict enlists domestic support for greater safety and security. Israel chose this route many times before. Cast Lead was most recent on the eve of 2009 elections. It helped elect Ehud Olmert. Netanyahu hopes he’ll be advantaged the same way. On January 22 he’ll know. At the same time, Israel needs a new Gaza subcontractor. It also has other regional challenges. Post-election, it remains to be seen if Israel loses more than it gains by killing Jabari. Palestinians and supporters intend to see things turn out that way.